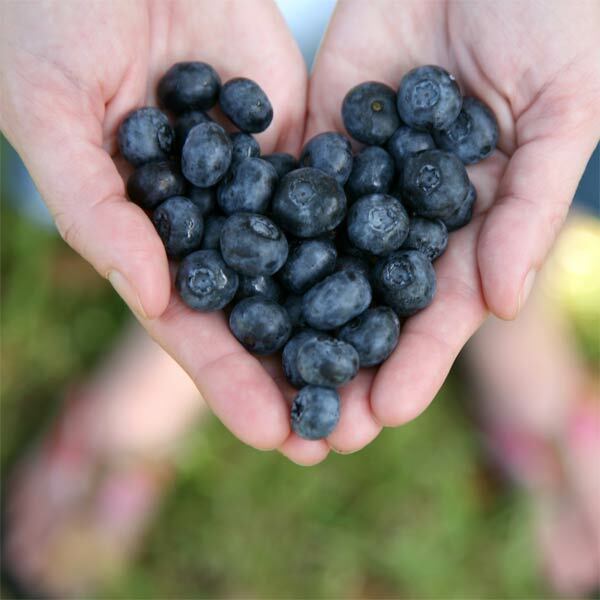 Visit us this spring to pick your own blueberries, fresh from our farm to your home. 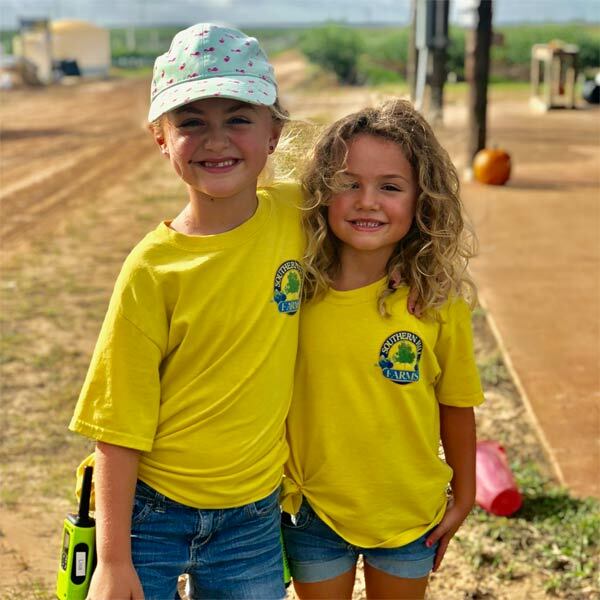 We’ve been growing blueberries for commercial harvest for nine years, and have enjoyed sharing our bountiful crop and fresh farm air with our community for the past six seasons. 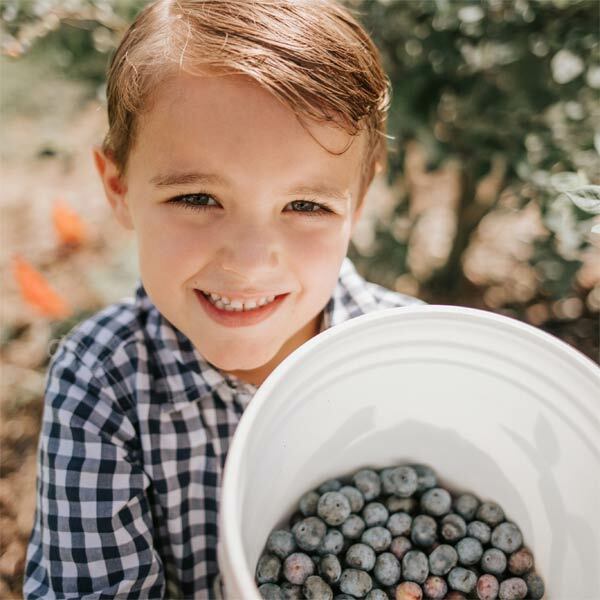 In addition to blueberry picking, we host events for all ages throughout the spring. Be sure to come hungry – we have hot, fresh donuts available daily and a wide range of sweet treats, as well food trucks on weekends. 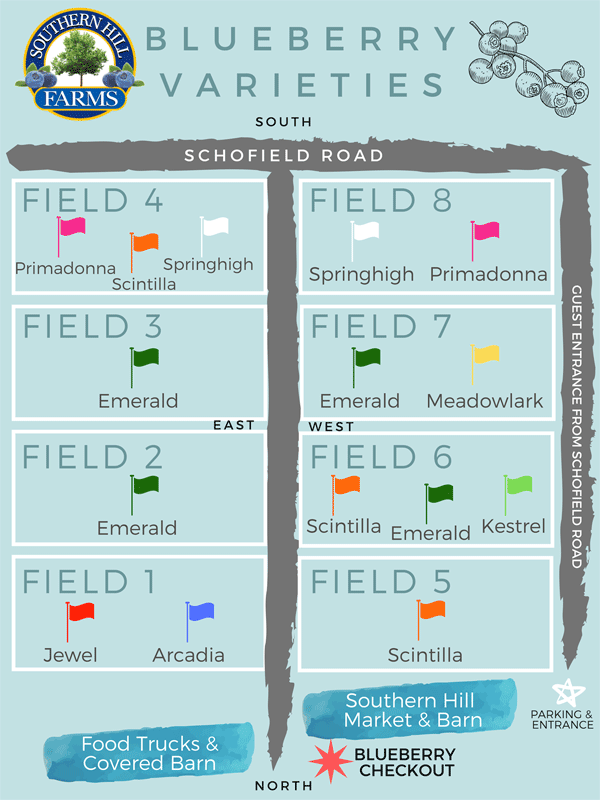 Take a peek at our list of events to see what’s available daily at the farm. 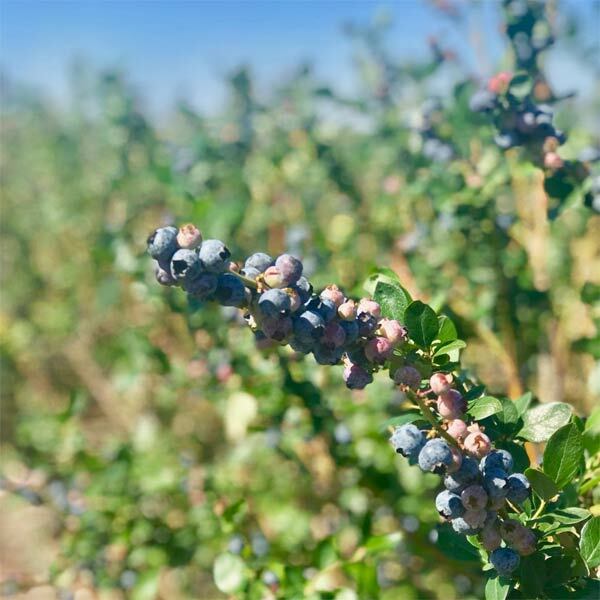 We grow eight different varieties of juicy blueberries on forty acres of the farm, all with distinct tastes and textures. Ranging from large and tart to sweet and juicy, there is a favorite blueberry for everyone. Please keep in mind that not all varieties are available all season long. We’ll provide you with buckets for picking and clamshells to take your bounty home in. 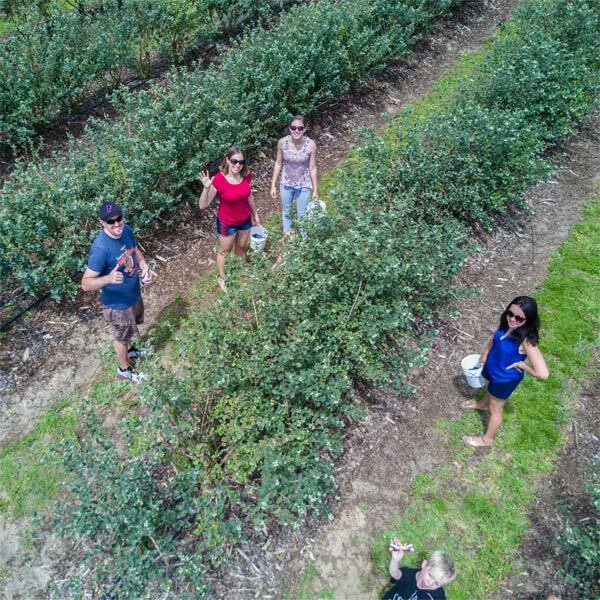 Since blueberry picking conditions can vary based on weather and crop availability, please always check our website on the day of your planned visit to ensure the farm is open for picking. Keep in mind that not all varieties are available all season long. Our price is $4/lb and you are responsible for paying for everything that you pick. Only pick the dark blue blueberries. Each bucket will hold approximately 6 pounds, and checkout is located under the Southern Hill Market Barn. High-yielding, semi-sweet berry with medium firmness and size. Taste is semi-sweet with excellent firmness. Emeralds are large berries that can be the size of a quarter. Large, softer skinned berry with a bit of a tart flavor. Crunchy berry with a unique sweet, yet tangy flavor. Large sized, crisp, firm berry with excellent blush. “Meadowlark” is actually a cross of the native North American sparkleberry. Super sweet, with almost a bright blue appearance, excellent firmness. You typically will not find this variety in grocery stores or retail markets due to its low yield. Very sweet and popular among our blueberry pickers. Medium sized, soft skinned berry with a unique sweet flavor. 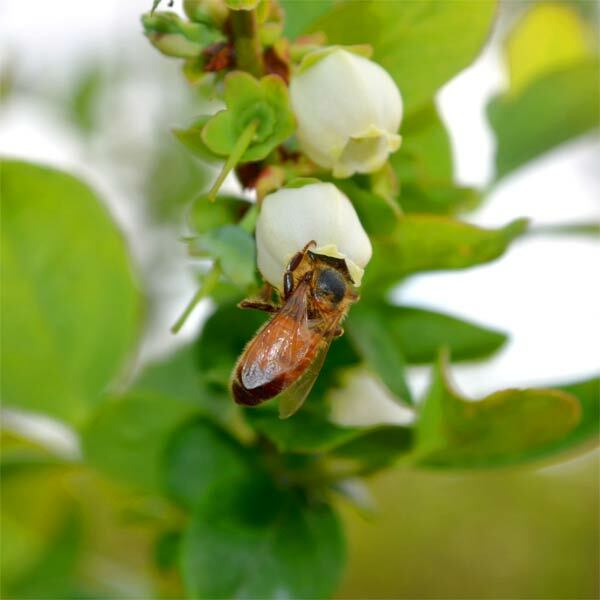 For more information about blueberry picking at the farm, please see our FAQs.